Attention James Taylor fans: "You've Got a Friend" in the legendary singer-songwriter. The five-time Grammy Award winner will return to Boston's Fenway Park on Aug. 3, 2016. "We are thrilled to welcome James Taylor back to Fenway Park for his second concert in two years," says Red Sox President Sam Kennedy. 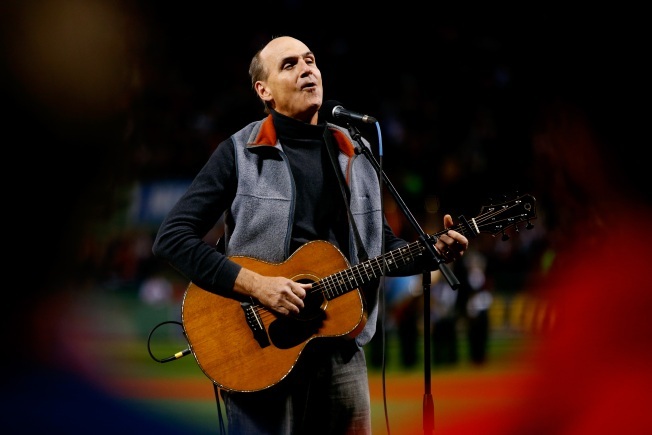 "James Taylor's performance at Fenway Park last summer has already reached the status of one of his best ever by his fans, and one of the most special concert events at the ballpark since the first shows in 2003," says Live Nation New England promoter Dave Marsden. The evening will also feature special guest Jackson Browne. Tickets will go on sale Nov. 20 at 10 a.m. via RedSox.com. A portion of the proceeds from this event will go to Action for Boston Community Development.